This year’s Polaris prize shortlist features some absolutely stellar pop records. Carly Rae Jepsen explores the thrilling beginnings and endings of love on Emotion, and Grimes explodes her ghostly sonic palette into a fury of glittering nu-school energy on Art Angels. 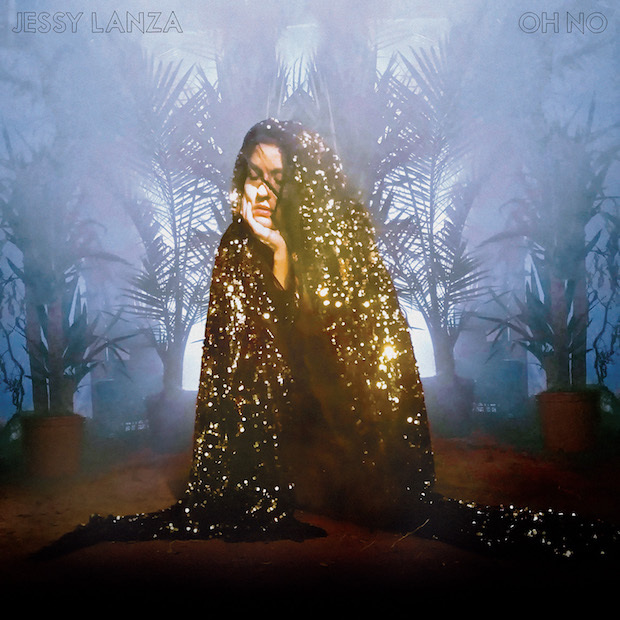 While some would filter Jessy Lanza into the more esoteric and compositional “electronic” category, she too has made one of the most striking and emotive pop records of the year in Oh No. Where Art Angels celebrates having it all, and Emotion bubbles with the powerful vertigo of almost-having and almost-losing, “Oh No” resonates because of the anxieties that pervade it throughout. It’s not an album about love as much as it is an album about the incompleteness of desire and all the frustrations that go with that. On “VV Violent,” Lanza quips “yeah, I say it to your face but it doesn’t mean a thing, no!” – a desire to be heard, to be anything more than just observed, set against the ratchet-clicking tension of tightening and loosening electro hi-hat grooves. The title track plays out like a manifesto against unfairness, against one-sidedness, against passivity that needs to be shaken off in a flurry of rhythmic stutter-steps. Lanza crowns it all with her glassy vocals: “Supposed to stay up late, supposed to say my name / You wanted out since the moment that I came.” “Never Enough” too, turns up the joyful, handclapping, minimalistically gleaming beat: even if it could be blasting out to a set of ears that doesn’t care enough to do more than nod, it’s dancing on its own. With the aid of vintage-school electroballad production from Junior Boys’ Jeremy Greenspan, Lanza revels in the interplay of crisp, sharp hats, gated snares, clubby kicks and shimmering pads. The R&B influences that flavoured “Pull My Hair Back” get dark, diamond-and-velvet moments to shine, as on “I Talk BB” and “Vivica,” but “Oh No” makes its biggest statements when it weaves between breathy minimalism and neon-bright density in a dizzying display of balance. The in-between moments are always more subtle, more difficult than the beginnings and the endings. Oh No proves this axiom brilliantly, and it gives us a subtle, difficult, but thrilling collection of songs through which we can break through our own hesitations and move toward something better.